A home’s hallway is the first glimpse guests have of a home so be sure to make an excellent first impression! Creating a gorgeous entry is second only to clever hallway interior design. You want the first room of the house to be as functional and beautiful as possible. Did you know your home entry can affect your mood? 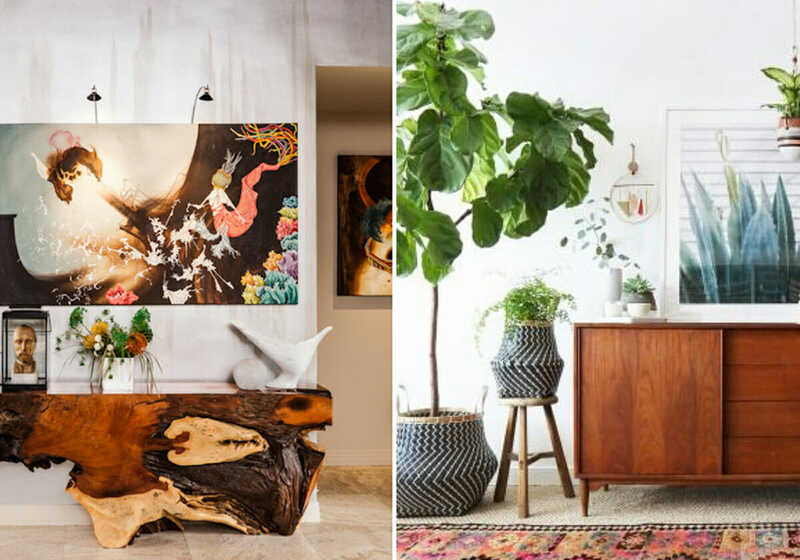 Luckily, an entryway is small enough that you can go wild and start experimenting with different looks to suit your personality. 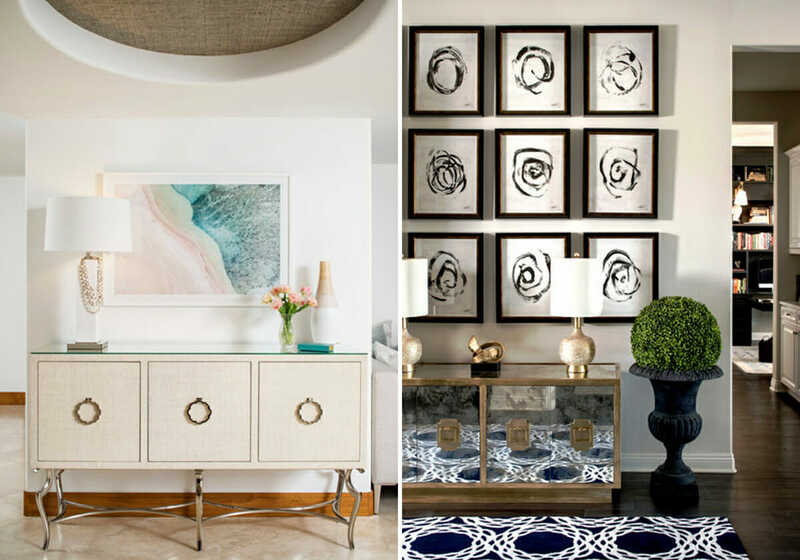 So, get the design right with our checklist of 8 essential hallway and entryway interior design ideas to perfect your space. Hallways tend to dark and often lack natural light. Make the most of your little space with more light. Skylights are perfect in a narrow hallway interior design, while paneled glass doors are great for more compact areas. Alternatively, consider replacing a wall in a very narrow and dark hallway with a paneled glass wall to add a contemporary look. It may be difficult to change the structure of a tiny space, so incorporate decorative features in your artificial lighting. Wall sconces are ideal for low ceilings, while pendants or chandeliers work well with high ceilings and also function as stunning hallway decor. 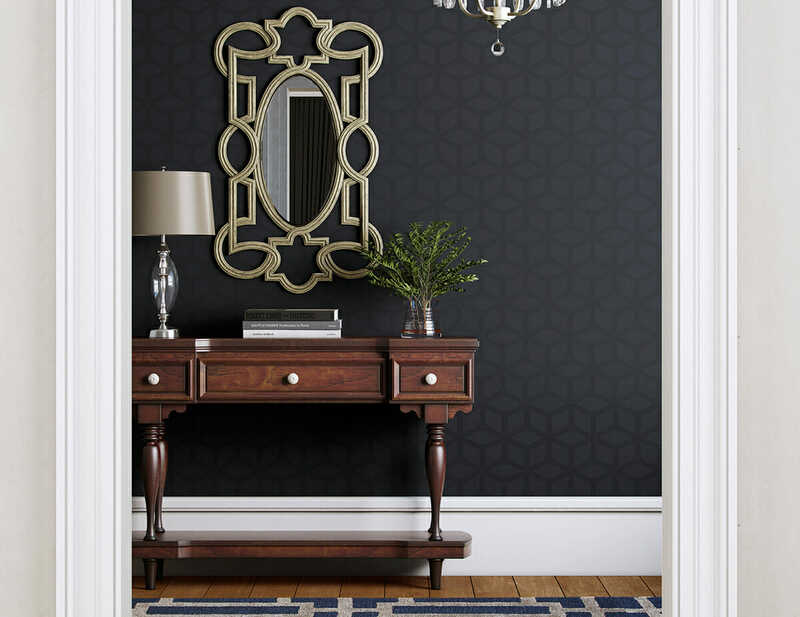 Hallway by Decorilla designer, Marcy G.
The entryway is the last area you’ll see in the morning on your way to work and the first once you come home to. Therefore, the look and function of this space can have an impact on your overall mood. 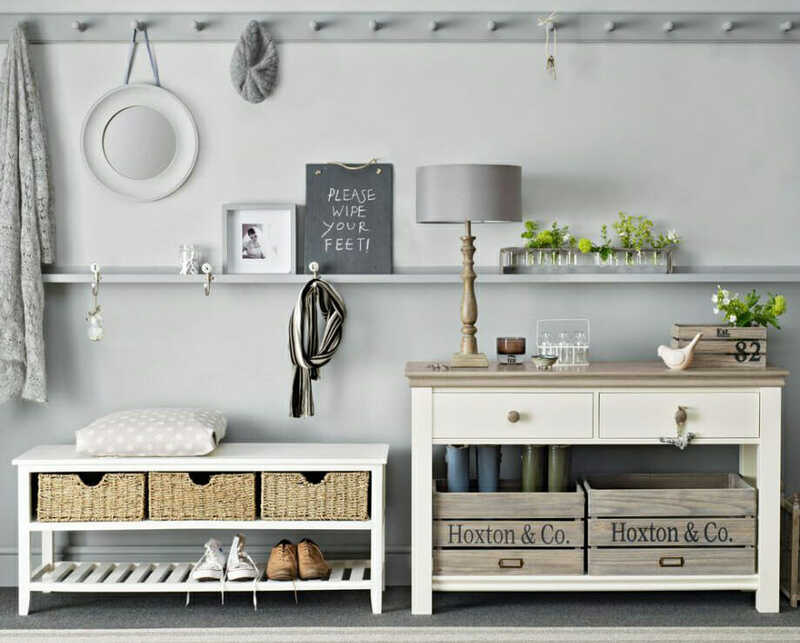 Keep the hallway interior design well-organized with smart storage solutions to give the family a daily boost. A coat rack is essential to any home and, with the many designs available, is a great hall decoration idea. Choose a coat rack design to match the style of your home, making sure it’s sturdy and strong but keeping its size relevant to the available area. Never lose your keys again with the help of a designated key bowl or key rack. You can even incorporate it as part of your coat rack if there isn’t additional room available. 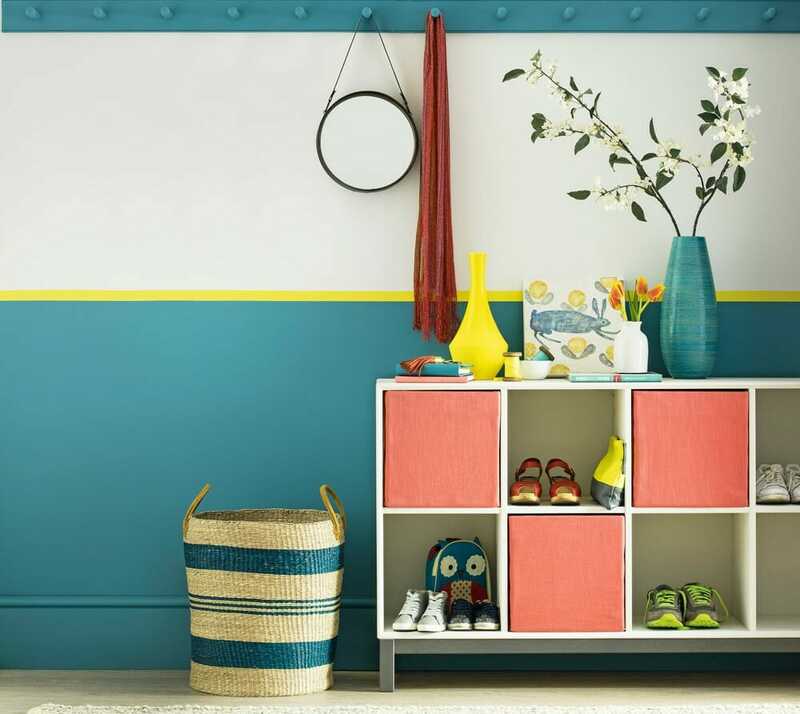 Cubbyholes or a slimline shelving unit with pull-out boxes are ideal for keeping random items sorted. Use a box per category; one for mail, one for kids’ toy, shoes and more! A large wicker or rattan basket next to a slim end table is not only a pretty hall decoration idea but is handy too. Stow away odd-shaped items like boots and soccer balls but be sure to sort out the accumulation in the evening or over weekends. Doorway design by Decorilla interior designer, Lindsay B. If the hallway is part of a new build or renovation, remember to allow enough room between the hall and adjacent rooms or staircase for free movement and storage. 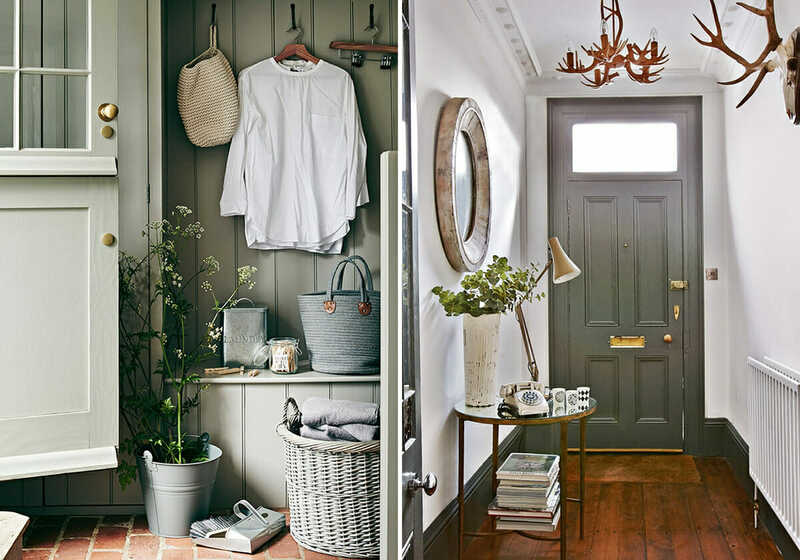 Simple entryway by Decorilla designer, Martina D.
Keep in mind that a hallway should be clutter-free and, most importantly, easy to move around in. 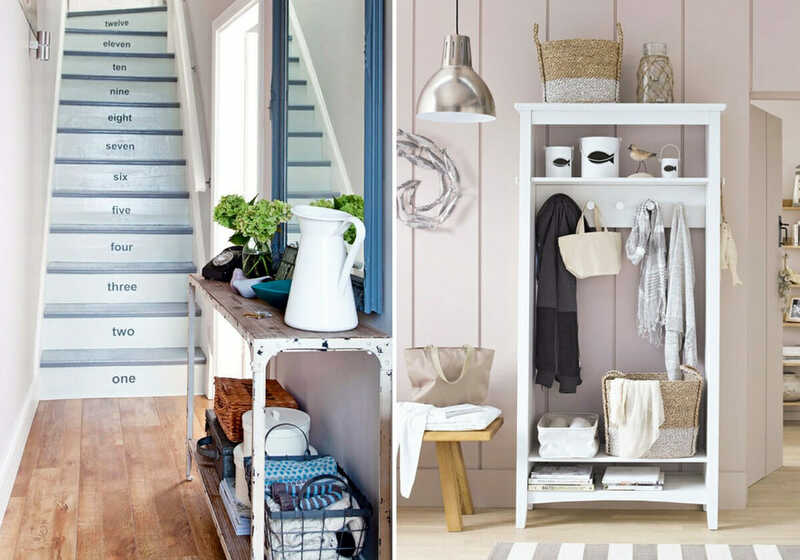 Pinterest is a great tool to discover amazing hallway ideas that have a minimalist and practical design. 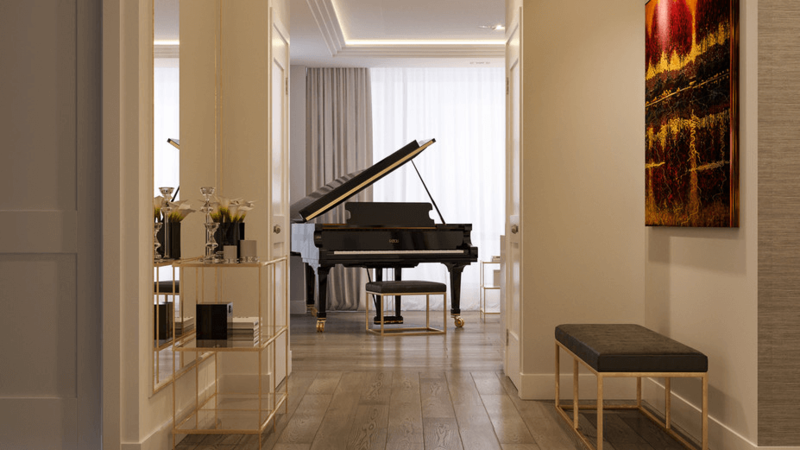 Elegant hallway by Decorilla interior designer, Mladen C.
Design by Decorilla interior designer, Sonia C.
Invest in sturdy flooring because the hallway is the place that tends to get the most home traffic. A non-slip floor finish is ideal, but if you have a single floor finish throughout your home, get a non-slip mat or hallway runner. Colorful hallway by Decorilla designer, Peti L.
A dark color will make adjacent rooms next to the hall feel bigger, while a light pearlescent color will make the hall feel bigger and also reflect light. 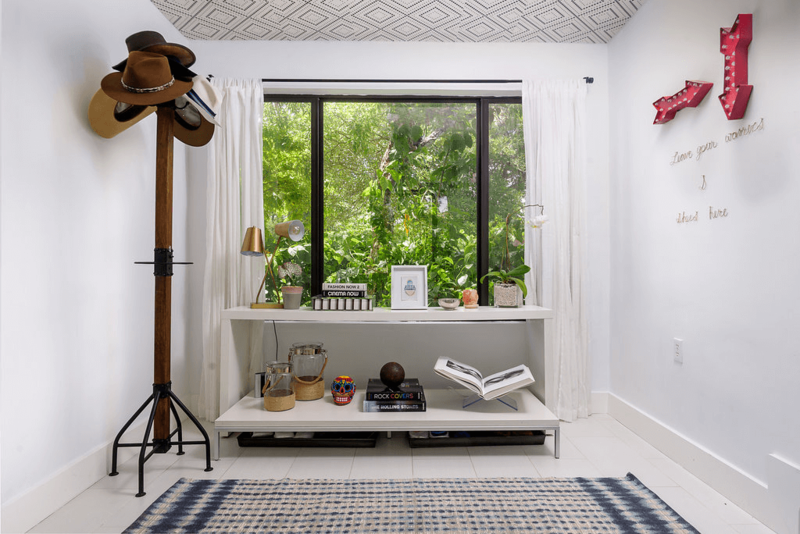 Another trick to make a small space feel a little bigger, especially one with a low ceiling, is to paint the walls and ceiling different colors. Stick to a lighter hue on the ceiling to add height. 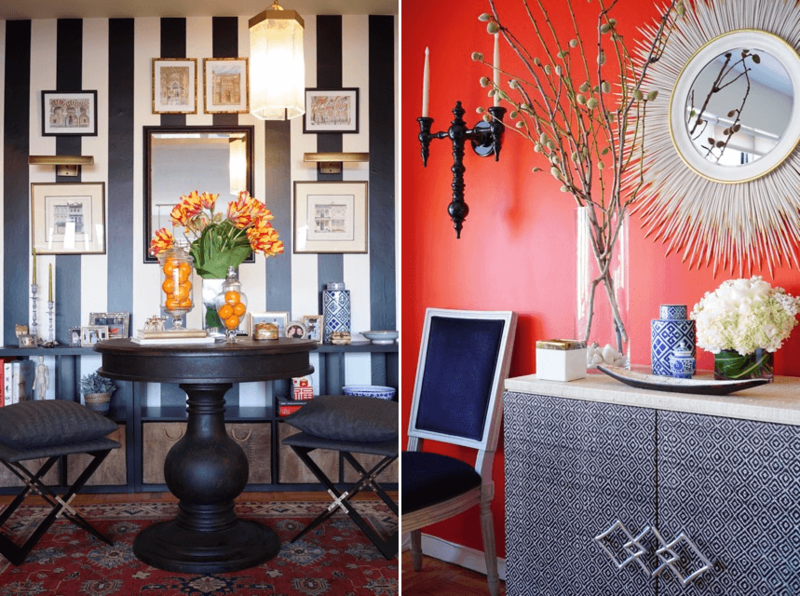 Or, add a fun feature like a colorful stripe to celebrate the room in spite of its size! 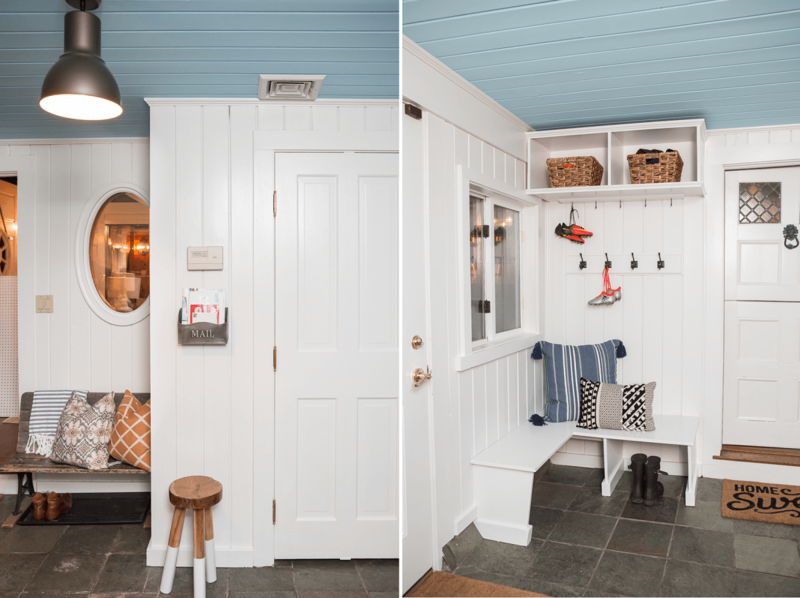 Custom hallway by Decorilla interior designer, Susan W.
Transitional entryway by Decorilla interior designer, Catz D.
Make the entryway feel bigger by extending some of the décor features. If an entry hall opens onto an adjacent room, continue the color of the wall, or keep a specific floor finish like tiles from the entry to the next room for continuity. Design by Decorilla interior designer, João P.
One of the easiest ways to enlarge a small space visually is by placing a large mirror on a wall. Create a glamorous hallway interior design with an ornate gilded mirror flanked by velvet footstools for visual impact. 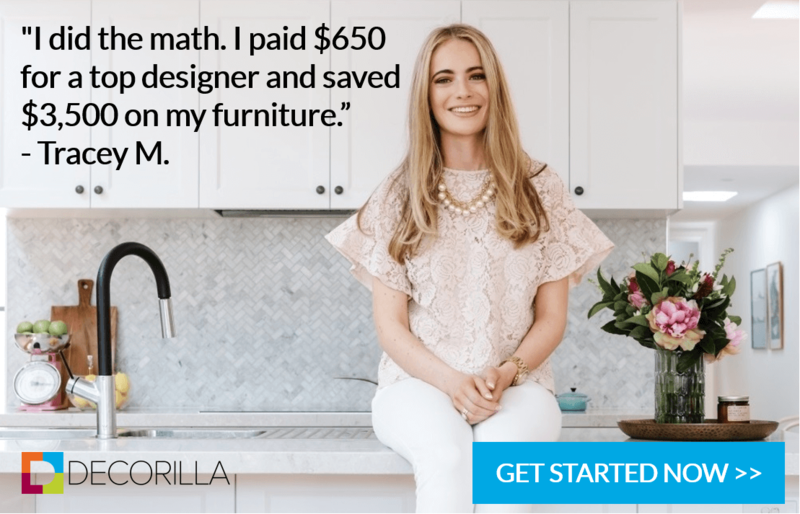 Once you’re ready to update or create your perfect entryway, get started with a free online consultation from a Decorilla interior designer!